The heir of a Scottish immigrant allegedly "invited to leave for sheep stealing" (according to drolly self confessed family rumour), George Hamilton IV was born on 19th July 1937 in the small North Carolina town of Winston-Salem. 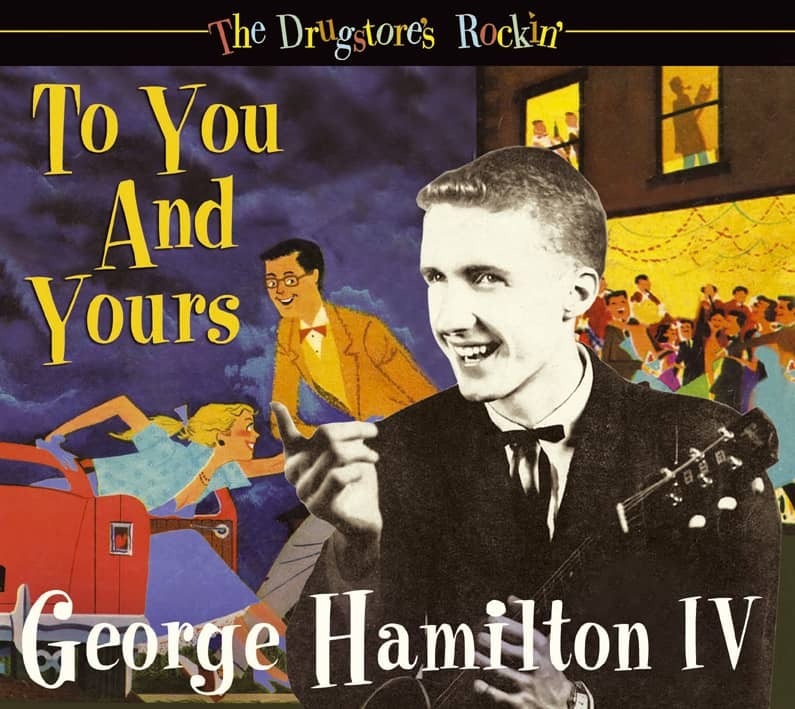 Initiated into the twin delights of Jimmie Rodgers and the Grand Ole Opry by his grandfather, the Hamilton clan's fourth George was also destined to became its most famous. After leading bands through high school, his first break came in 1956 with a John D. Loudermilk ballad: A Rose And A Baby Ruth was more Ricky Nelson than Willie Nelson, but the small fact that it sold a million copies dictated Hamilton's next few years on the rock'n'roll treadmill, touring with teen idols like Buddy Holly, Gene Vincent and Eddie Cochran. It took guts and a conscious decision to relocate to Nashville, a city with which he's maintained an often ambivalent relationship. 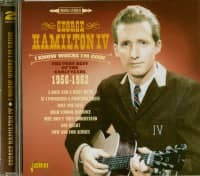 George Hamilton IV is a long-standing member of the Grand Ole Opry, with many hit records under his belt, from his first, A Rose And A Baby Ruth, to his biggest, Abilene. Along the way, George Hamilton IV has earned a well-deserved reputation as the 'International Ambassador of Country Music.' One of the ways GH4 (as his fans call him) has perpetuated this reputation was by recording songs by Canadian artists, bringing exposure and fame to a previously unknown group of North-of-the-Border singers and songwriters. 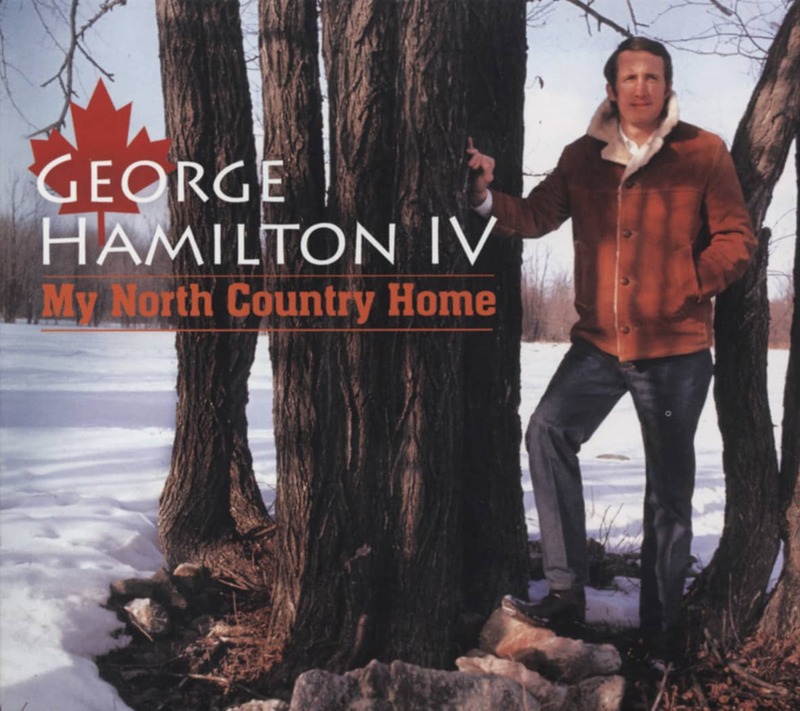 This compilation focuses on these songs of Canadian origin, and the singers and writers who found their songs a voice through George Hamilton IV. "For a time, I became obsessed with Canadiana, and the story songs found in Canadian folk music," George recounts. "I really do feel like the Canadian songwriters really lifted our country music out of just the cheating and drinking songs, and caused the music to become more appealing to city kids, and people outside of America." George Hege Hamilton IV hails from North Carolina, where he was born in the town of Winston-Salem on July 19, 1937. The Hamiltons were descendents of the Scottish Hamilton clan, and part of the great influx of Scots and Scotch-Irish into the Appalachians and Southeast states. His easy-going demeanor and country charm is typical of the men of North Carolina, and his authentic manner has been accepted by audiences because of his innate believability. Typical of children of the depression in the Deep South, George grew up with country music in the home. His grandfather was a Jimmie Rodgers fan, and played The Singing Brakeman's 78s while bouncing young George on his lap. George's father, George Hege Hamilton III, known to all as 'Hege,' worked at a drug store in Winston-Salem owned by 'Goody' Goodman— a store soon to become famous throughout the country as the headquarters of 'Goody's' Headache Powder. It wasn't 'Hege' that inspired George to get into music, however, it was his mother, Mary Lillian—called 'Sis' by her friends and family. 'Sis' encouraged young George's passion for country music, even taking her son to see live early morning radio performances. 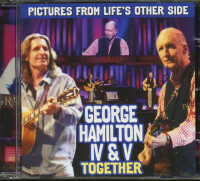 It was during this time that George first performed, as a guest on some of these live radio shows. As a young boy, George declared that he was going to be a country music performer, and unusually, his parents (especially his mother) encouraged his ambition. When George was 12 or 13, he bought a guitar with money made from a paper route, and not long afterwards he began taking bus trips to Nashville to see his favorite country singers perform. His perseverance led to encounters with some of his heroes like Ernest Tubb, Eddy Arnold, and Chet Atkins, who took a liking to George and brought him backstage at the Ryman Auditorium for a Grand Ole Opry show. The meeting with Chet hinted at things to come, as Chet would later sign George to RCA Records. Backstage at the Opry, Chet introduced George to Hank Snow. Hank was one of his big idols, and the first "actual Canadian," as George puts it, that he had ever met. George recalls asking Hank for a guitar pick, and Hank told him he needed it for the late show at the Opry, but that he would mail it to him, if George gave him his address. "I thought to myself, yeah right," recalls George, "but sure enough, a week or so later, I get a package in the mail from Hank Snow. Inside the package was a signed photograph, and that guitar pick Selo-taped to the picture. That really reinforced Hank Snow as one of my idols. 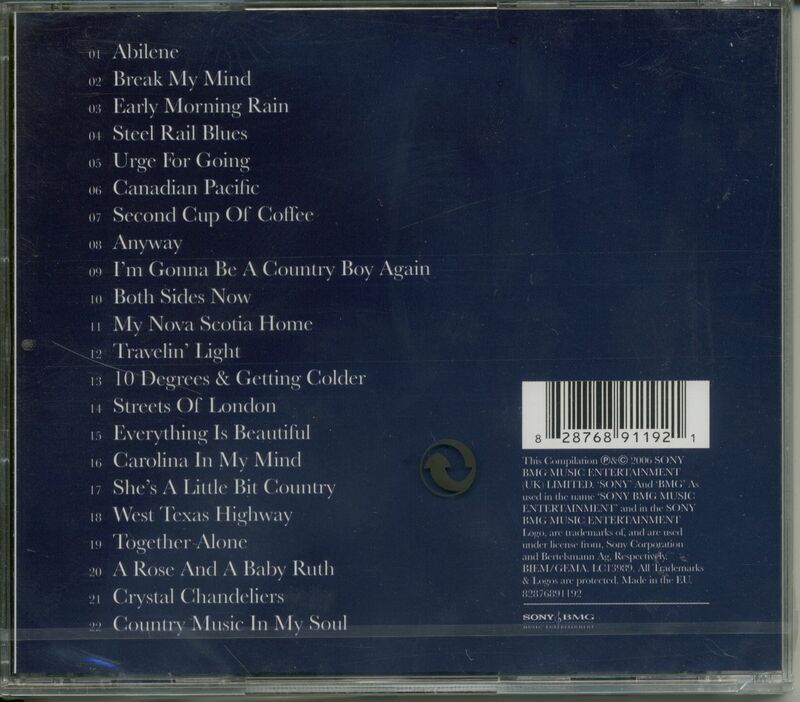 Of course, he sang a lot of songs about Canada, and that was what originally inspired me to think about Canadian music. I was also a fan of 'Montana Slim,' who of course was another Canadian whose real name was Wilf Carter. He was known as the father of Canadian country music." Back home in Winston-Salem, George performed at his school and formed a trio with fellow students Henry Heitman and Jim Gay, a group they called The Serenaders. The group played lots of local functions and dances, and began making demonstration records at a local music store. George was very keen to make a career in country music. On one of his trips to Nashville, he met Ernest Tubb backstage at the Grand Ole Opry and asked if he could sing a song at an upcoming March Of Dimes Telethon at the Princess Theater. Ernest was only scheduled to sing three songs, but in an effort to support the youngster, allowed George to sing a song on the show. George promptly fumbled the words and felt like he really blew his chance, but Ernest consoled him after the show and told him that if he really believed country music was his future, he should stick with it. 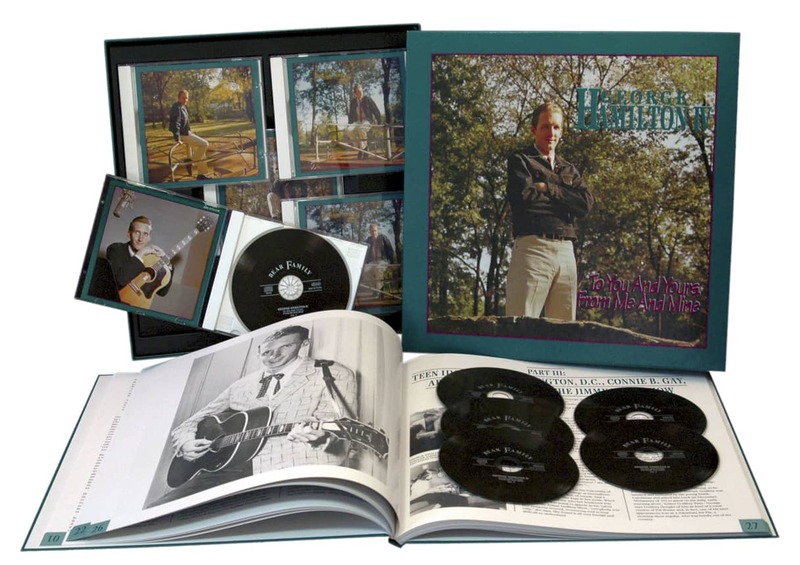 This incident only reinforced George's desires, and soon he sent some of the demonstration records that The Serenaders had made to a small label in nearby Chapel Hill, North Carolina. The label, Colonial, had just had a regional hit with a record by local hero Andy Griffith—the colloquial comedy routine What It Was, Was Football—and George thought the label owner, Orville Campbell, might be interested in his music. Campbell sent George a letter back, telling him "If you're ever in Chapel Hill, look me up." As it turned out, George had already enrolled at the University Of North Carolina in Chapel Hill for the fall semester, and when he got there, he wasted little time before contacting Campbell and taking him up on his offer. "I just about worried Mr. Campbell to death," George told author Dale Vinicur, "I felt I was destined to be on the Grand Ole Opry. I could feel it in my bones, and I couldn't understand why he couldn't see it as clearly as I did." Orville Campbell of Colonial Records agreed to take George into the recording studio, but advised him that he would need some original songs to record. George wrote two songs, I've Got A Secret and Sam, and in March 1956 he and his group featuring Henry Heitman on bass and Joe Tanner on guitar entered the WUNC studios on the campus of the University. The Radio and Television department had a studio set up in Swain Hall that was primitive, but as advanced as anything in North Carolina at the time. The two songs were released on a Colonial 45 in May 1956, achieving some local success and ensuring that a follow-up would be in order. 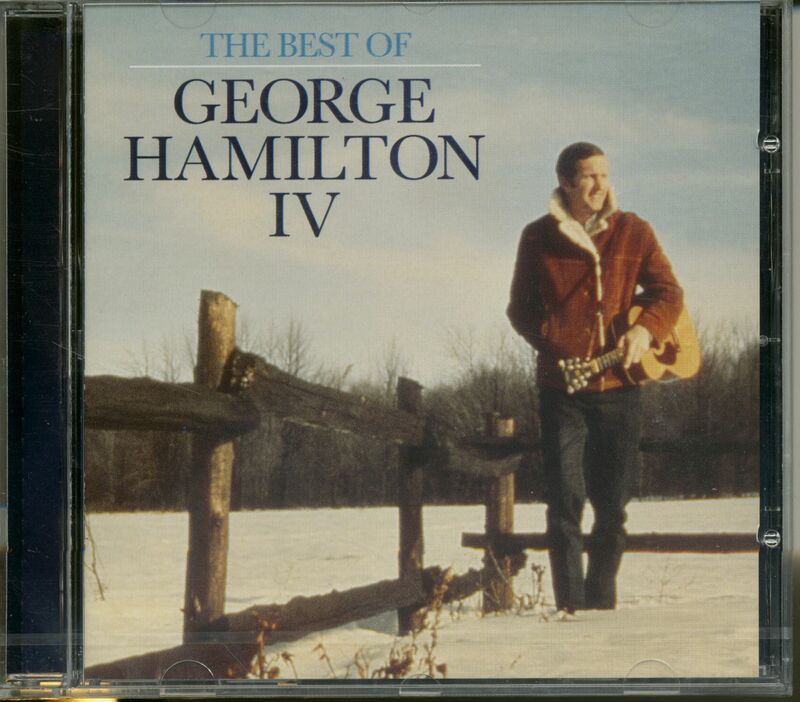 Although the first 45 came out as simply George Hamilton, label-owner Campbell decided that George's stage name would be George Hamilton IV, and urged George to play up the 'IV' image by having the roman numerals embroidered on his wardrobe, a memorable touch that George continues to this day. 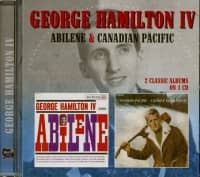 Although George loved country music and envisioned himself a country singer with a touch of the new Elvis rockabilly sound, Orville Campbell decided that George should be a teen-idol type singer doing pop ballads. In the meantime, George and future songwriting legend John D. Loudermilk had become acquainted at the television station of the University of North Carolina, and had spent some time discussing their mutual love of music. John D. Loudermilk, who at this stage in his career also fancied himself a singer with similar dreams of stardom, wrote a song called A Rose And A Baby Ruth and played it for George, who didn't care too much for it when he initially heard it. When Loudermilk performed the song live on a local radio station, Orville Campbell taped the song off the air and decided it had such crossover teen pop appeal that it would be George’s next record. Customer evaluation for "The Best Of (CD)"